This brunch sandwich was the inspiration for my Cuban Pot Roast recipe. I love brunch for many reasons. It occurs later in the morning allowing me to sleep late. It is leisurely, and it gives me an excuse to have a fancy cocktail. 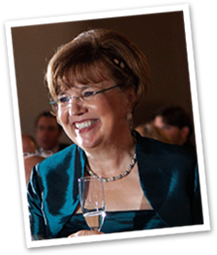 It also combines the best breakfast choices with the best lunch/dinner choices. This sandwich is a twist on eggs benedict. 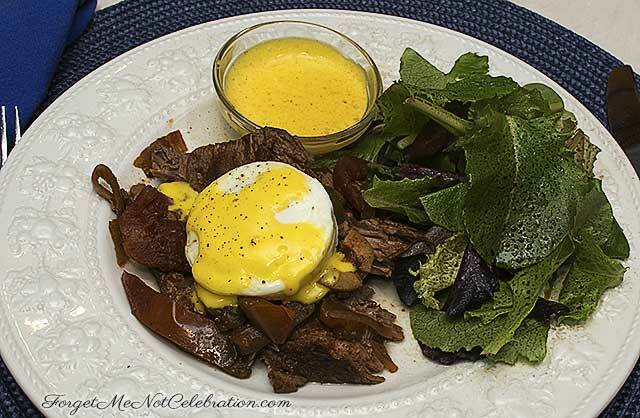 A poached egg sits on top of spicy pot roast and a creamy hollandaise sauce tops it off. A small salad of spring greens tossed with oil and vinegar is the final garnish. I love a creamy hollandaise sauce with a poached egg. The sauce can be easily made in a blender. Here’s how. Add the first four ingredients to the blender jar and blend together. Slowly drizzle in the melted butter while blending and mix until the sauce is thickened and creamy. Keep warm until serving. 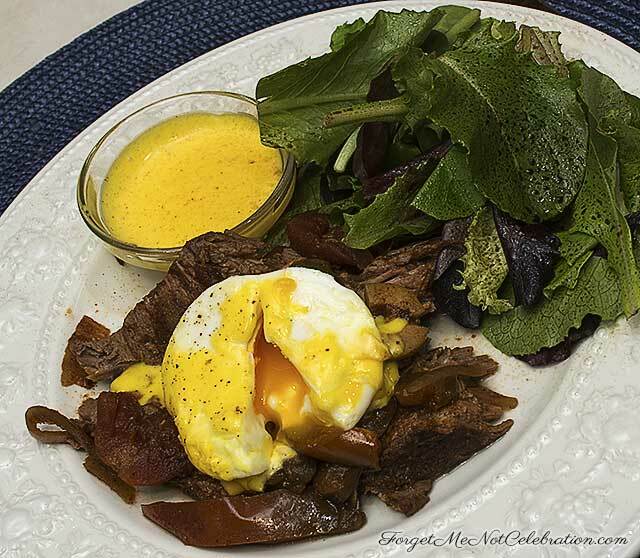 Next, while warming up the leftover pot roast, make the poached egg. If you don’t have poaching cups, you can poach in simmering water. The Smitten Kitchen has a nice tutorial. Now it is time to plate up a very satisfying brunch dish. Lightly toast a thick slice of hearty bread. Place the warm pot roast, with a little sauce, on top of the bread. Add the poached egg and drizzle on the hollandaise sauce. Garnish the plate with the tossed spring mix. A fancy cocktail that goes well with this recipe is a spicy margarita.